It is every angler’s dream to hook, battle, fight, catch and release a Marlin. These huge marine creatures, made popular by legends such as Ernest Hemmingway, are the unrivalled star of offshore gamefish, whether you fish Costa Rica or anywhere else in the world. There is no sight more awe-inspiring than the sight of these massive fish leaping into the air behind your boat. Because they are large predators, it might take a long time to find one, but when you hook one, you instantly forget the time looking. 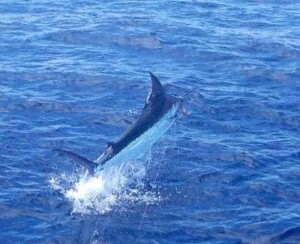 Blue, Black and Striped Marlin are all found off Costa Rica’s Pacific coast, with Blue Marlin by far the most prevalent. Black and Striped Marlin are seen less frequently when you fish Costa Rica. Blue Marlin, and their cousins the Black Marlin, are the largest gamefish in the ocean. The biggest specimens, called Granders, exceed 1,000lbs. 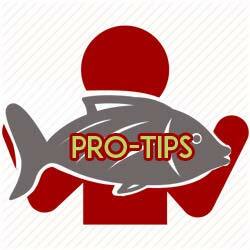 However, most of them caught sportfishing in Costa Rica are 400-500lbs. Striped Marlin are smaller, in the 200lb range. Much like Sailfish, Marlin are usually caught by slow trolling large live or dead skipping baits like skipjack tuna, or faster trolling with large skirted marlin lures. Marlin can be caught all year long. But again, like Sailfish, the Marlin bite peaks at different times of year, and follows basically the same pattern. 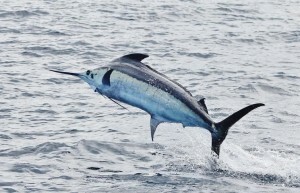 In the South Pacific (Golfito, Puerto Jiménez and Drake Bay), anglers fishing Costa Rica offshore from mid-November through March should see quite a few Blue and smaller numbers of Black Marlin, either traveling south, outside of Golfo Dulce, or moving just north up the coast in the Drake Bay/Furuno Bank area. 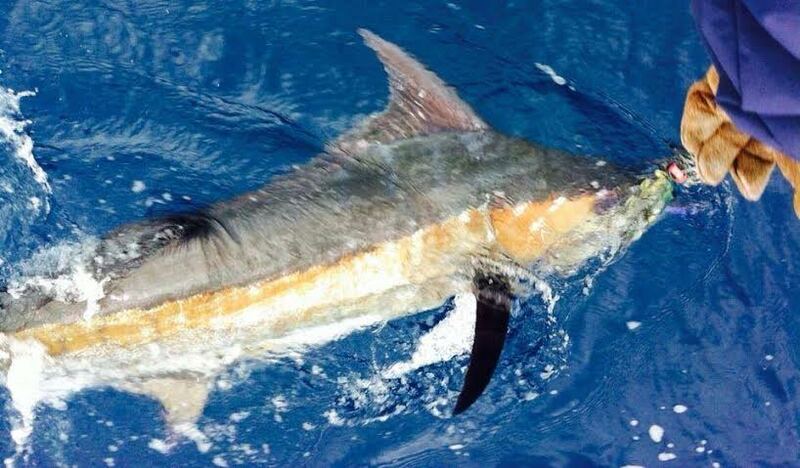 The peak Marlin bite off the Central Pacific coast (Jacó/Los Sueños Marina and Quepos/Pez Vela Marina) occurs between the beginning of January and the end of April. Every so often, anglers sport fishing in Costa Rica might even see more Marlin than Sailfish. However, a good rule of thumb is one Marlin for every 10-15 Sailfish. 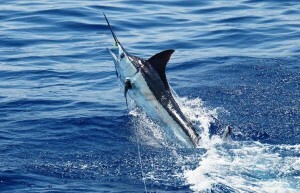 Once Easter comes and goes, the peak Costa Rica Marlin bite moves north, to Guanacaste in the North Pacific: Tamarindo, Flamingo and the Gulf of Papagayo from June through September. July and August are big months. Anglers who are primarily interested in fishing Costa Rica for Blue, Black and Striped Marlin can also enjoy exciting, magical overnight trips to the FADs, or Fish Aggregating Devices. These are buoys or floats tethered to the ocean floor, and float either on the surface, or just below it. Marlin especially seem to congregate around these FADs, placed at distances of 40 to 120 miles off the coast. Anglers coming for a Costa Rican sport fishing adventure can book two-day, one-night or three-day, two-night overnighters to the FADs out of Los Sueños in the Central Pacific, or Golfito in the South Pacific, between the end of May and mid-November.